The kitchen is a huge focal point in our home lives and it provides the perfect space to inject personality and character. Combining style and function is key to success in the kitchen, so once you’ve decided on a general theme, as covered in our 5 kitchen design styles piece, you can start thinking about the bolder style statements. These features are crucial to elevating your space to something truly special, so if you’re unsure on what this bold set-piece could be, here are some ideas to provide the missing piece to your design plans. Lighting is a fantastic way to introduce bags of character to your kitchen with minimal effort required. Looking to industrial design for these special lighting pieces is a good starting point, with enamel and raw metal pendants a popular choice alongside exposed bulbs giving off soft, warm light. 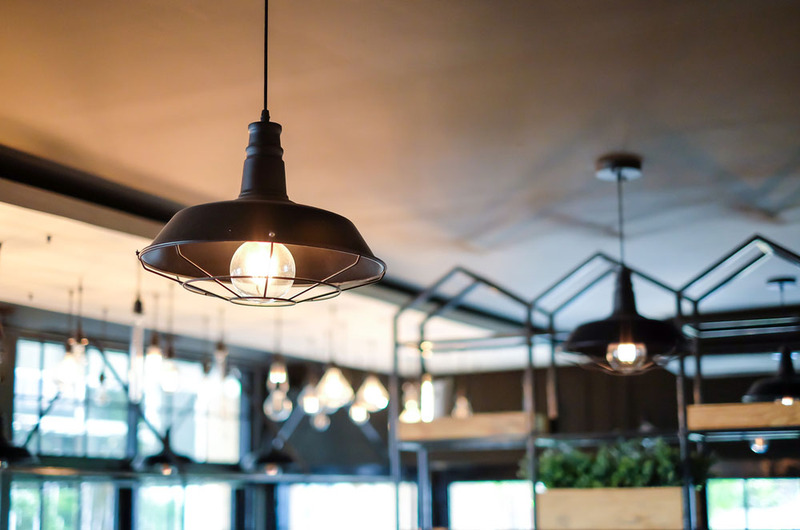 Salvaged items are a key part of the industrial look, which means there’s opportunity to find truly stunning, one-of-a-kind lighting fixtures if you’re willing to put the extra hours to search for the right piece. If you’d like to keep things a little less rustic, there are plenty of contemporary industrial-style designs to be found, which retain character, but also provide a clean, modern ambience. This is largely dependent on the size and space of your kitchen, but if there’s room for an island, it’s worth taking some time to consider one. Kitchen islands provide opportunities for creating a truly stunning space, fit for hosting family and friends or enjoying a leisurely weekend brunch. There are numerous options for islands – they can serve as extra storage space, areas to dine and entertain, areas for food preparation or you can even place a hob on the island, to make it the true centre of the kitchen. With the increased surface area, they also serve as an excellent way to make a striking use of your worktops. While you may think shelving is largely functional, using open shelves in the kitchen can make huge impact, by creating an open, relaxed ambience. 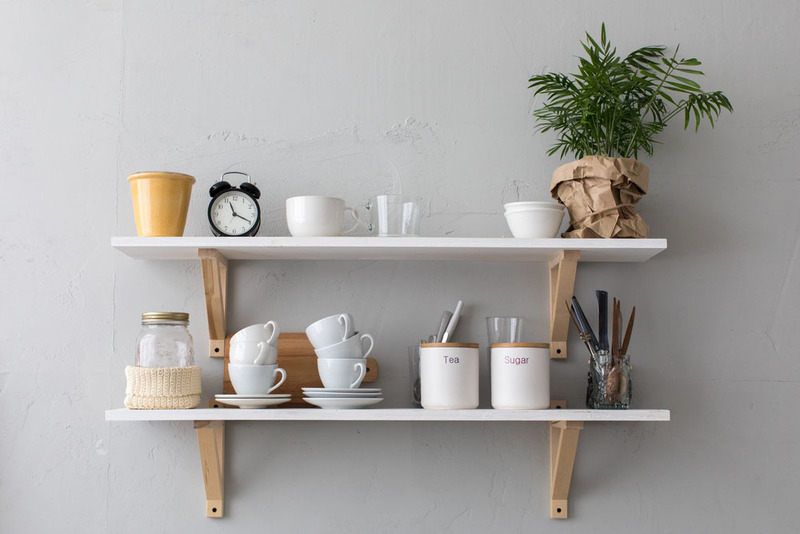 Opting for wood adds a natural tone whereas white shelving will give a clean and contemporary feel. You could also use Maxtop offcuts or leftovers from an island unit to create shelving to match your worktops. 40mm upstands are included with every Maxtop surface free of charge to provide a simple, neat wall finish. 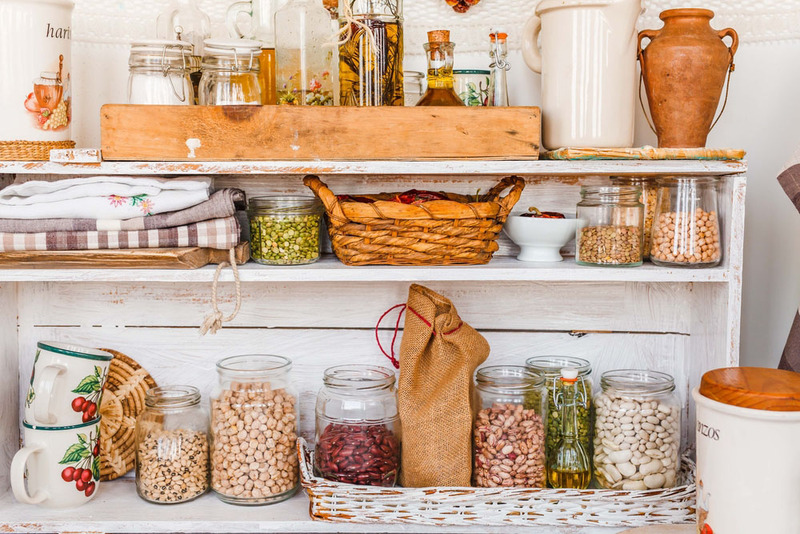 The contents you decide to place on your shelving will also add their own life to the space, whether you opt for storing vintage pans, an array of spices or even small plants for an added decorative touch. Tiling in the kitchen isn’t just a practical way of protecting walls from the often-messy demands of cooking, they can also provide beautiful design elements to the home. Tiles are a useful and creative way of introducing colour and contrast to your space, whilst patterns are an excellent method of adding striking visual interest. You can add a worldly, global influence through mosaic patterns or the delicate intricacies of blue and white Mediterranean styles. Have you been inspired to remodel your kitchen? Maxtop Quartz worktops come in a broad range of finishes to fit a variety of styles. Explore the full range and order a sample here.